Square Enix has announced at the D23 Games Showcase that Kingdom Hearts III will release next year in 2018. Alongside that, a new world was shown off which comes in the form of Toy Story. You can watch the footage above. The trailer gives us an extensive look at Andy's room, outside of it, and a meeting with Woody and Buzz Lightyear. So, do you believe it? Will Kingdom Hearts III really release next year? Let us know your thoughts in the comments below. The graphics are seriously close to the actual films. I can believe it, honestly. Like the game kinda looks finished. At least at face value. As opposed to what? Next year in 2044? Anyway, looks nice. Wont make any damn sense and the Disney stuff is just watered down movie retread fluff to pad the game so you have something to do and your brain wont melt from Nomura's terrible writing/love of belts/darkness fetish/lack of discipline when making games. Dont forget to play all the in between games on other systems. They actually mean nothing to the plot and purely exist to set up things for future games, at least Chain of Memories anyway. Sadly...I dont think its landind in 2018. This is Nomura for gods sake. This is the man who spent 6 years working on a game and the guy who came in to actually finish the damn thing said there was basically nothing. Nomura is an artist. He got in over his head. @BLP_Software Speak for yourself. I love his crazy writing about darkness, light, friendship, hearts and all. Hope it lands next year. 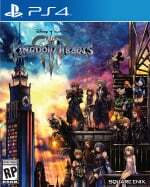 Also, all the in-between games are available on PS4, Birth by Sleep is essential to the story (it's basically KH0), DDD is a proper sequel to KH2 and Chain of Memories, even though may feel unnecessary, introduce and explore Organization XIII quite a bit (BbS makes strong references to CoM). Hey if ya like it then great. Personally? It couldve been simpler and sometimes I dont think he knows what he is doing. Then again after it was revealed his work style is basically none existent...im also not surprised. @renankj I can be positive and I often am, around the things I like. I find it more constructive to say "Hey I didnt like x thing" and seeing some respond not with "Well I didnt like this about the thing you like" but rather "Well I like this about it". And in a lot of wayd my negativity stems from having an insider understanding of the industry. Understanding the workings makes instances like Nomura and his lack of discipline very apparent and more in my face than it seems to you. And I hope one day the distinction between a negative opinion (Which I get is most of the internet to be honest) and a constructive opinion. You cant criticise without negative framing after all. Its why I often ask "why". Why is Nomura approaching development of games in these financially destructive and impracticle ways with no restraint to a vision that ultimately weakens the concept? Why did Sony mess with the PS4 UI when it worked fine before? Why this, why that? Understand that, and you can work out how to fix it. And sadly I often find these questions unanswered because everyone just asdumes I hate x thing. Take the Crash remakes. I was claimed to be actively looking for problems. Not true as many of the issues happened just from playing normally. And eith regards to a lot of the design I was scratching my head and figuring out why some things were chnaged and others werent when it was inconsistent. As for why I dont voice my positives a lot more, its because of two things. One is a desire for improvement. You dont progress by being told whats good if you dont also fix the issues. Secondly, think about a conversation. If you make your point and end on the positive things you like, it leaves the freshest memory in the reader or listeners mind as a positive, and as I noted earlier, that willingness to talk about what you like over getting defensive and firing shots back about things you didnt like, is key for a discussion continuing. Whereas if it ended with negatives, it leads often to people by nature firing back and the discussion goes nowhere because they viewed negativity immediately before writing or speaking. Genuinely transformative. Getting Pixar in there is what I have always wanted and is much more exciting than star wars or marvel worlds for me. They have been done to death in other games, whereas this looks magical. From being in a state of apathy over the ridiculous wait, this has shot straight to number 1 on my most wanted list. How good does that look! Gameplay looks fairly familiar, but graphically can't be faulted. I wonder if toy story is a stand alone treat or whether we will get other Disney /Pixar animations. Not their best, but brave would fit well, and I could see finding nemo in there somehow. The incredibles would work too! Incredible. Yes, it will come out in 2018, but I wouldn't be surprised if they announced a date and then delayed it further in 2018. With years of trailers saying "now in development", they'd have no reason to put a date on it now when they could've just continued that. Finally some worthwhile news , KH will always have a special place in my heart . Playing those games during middle School and high school was awesome. When they got to the Toy Story area, did it remind anyone else of the FFXV demo? When Noctis was shrunk and running around the room. Or is it just me. I believe 2018, I mean, it had to come out eventually, that still gives them about 18 months if it's a late Nov or early Dec game. I'm impressed w/ how much it still looks like a KH game. Sure, graphically it's improved a lot, but that camera angle and fighting w/ the keyblade w/ Donald and Goofy, it's KH. Though I guess a lot of series do that, maybe it's FF that's the outlier? I can't decide whether I think this is cool or godawful. I think it's a mix of both TBH. 2018 shaping up to be a monster year for video games. Ahhhh this looks soooo good! Gimme mah keyblade! It looks brilliant especially the graphics i'm sure some casuals would mistake that for the real film obviously the start of it. 2018 is going to be brilliant for games and for a lot of people KH3 is their new number 1 game of 2018. Also, I remember the guy in the video (4:55) already defeated by sora in ps2 kh2 or psp kh bbs, why he's still in the game. @wiiware He was a Heartless in 1, a Nobody in 2. Who knows what he'll be in 3 haha. He was an evil Keyblade master in Birth by Sleep that took over Terras body.....i forgot how mental the story was! Pretty incredible graphics! Is this the first time the game has actually had a date attached to it? Hopefully it will launch next year. I love Kingdom Hearts. It looks fantastic but kingdom hearts is one of the few Japanese games i have to play in English! I really wanna know if they will use the real voice actors :/. If not they will hopefully be a very good replacement. This is looking great so far. I've not played KH before, so I might be up for getting this game and seeing what the excitement is all about. @get2sammyb On what level could it be considered god awful :s Just look at it! @kyleforrester87 The clash of twee Disney with twee weeb hurts my head. @get2sammyb out of interest what do you think about the previous games? KH certainly is an acquired taste; but this looks fantastic! This looks amazing and I'm not even a big KH guy. @Rob_230 I've never played one TBH. The concept just doesn't appeal to me I guess. In honor of the meme used as the thumbnail, i'll say this about the release date: "Disbelief. Disbelief everywhere." I think...that it will release in 2018, and that they've waited until they were sure the game would release about then before announcing it. I used to think KH games were cash grabs with convoluted stories and forced crossovers but then a friend gave me 1.5 and I played 1. Now I have all the games and I can't stop playing them. Of course they aren't perfect and I found some boss fights infuriating but the themes explored try to be serious and the games and battle systems are fun. Still boggles the mind seeing Pixar till now. Don't mind me. 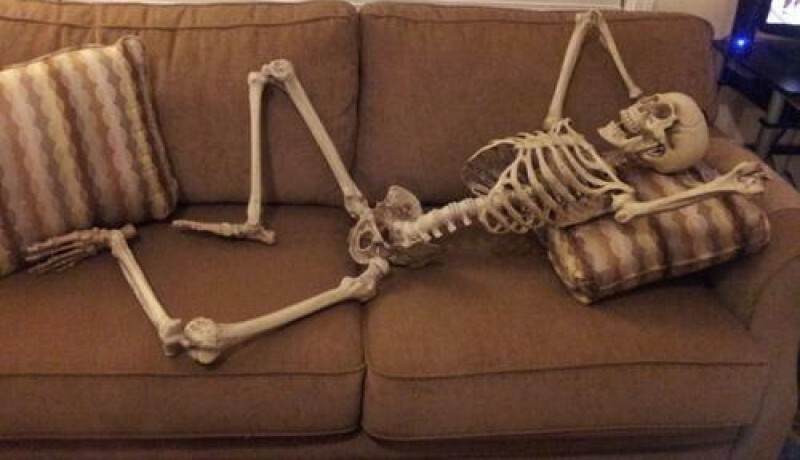 Just waiting for Kingdom Hearts III to release. It's still possible it'll be set back, but the fact that it has a set year now makes me feel much better. I recently nabbed 1.5+2.5, so it's a good time to catch up. The only thing that gets me is the voice acting: is SE really going to spring for the huge amounts of money Tom Hanks, Tim Allen and others will demand to reprise their roles? @get2sammyb I wouldn't touch this series with a stick and I am pretty much into Japanese games so you have all my understanding. Honestly, I can understand now why it's taking so long! I really wasn't expecting them to fight OUTSIDE! The level of detail is amazing in a Pixar way, to include all the elements such as enemies, fighting, spells, etc. I love it. Keep making it great! @SuperSilverback I only play kingdom hearts 1, 2, and bbs, I hope I'm not missing out on the kh storyline.